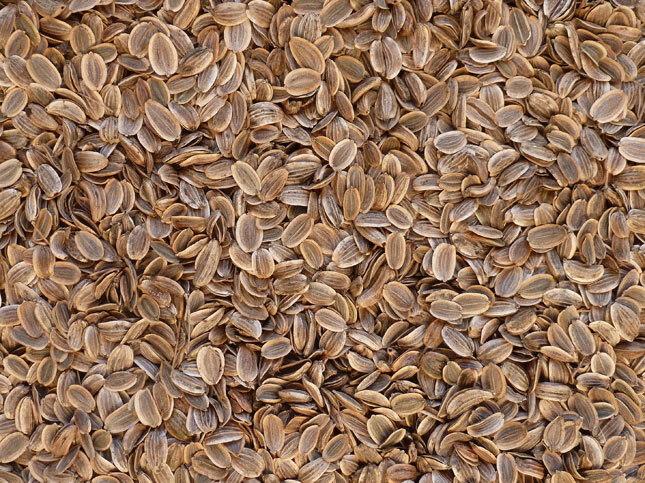 This dill is a reliable seed producer with flavourful foliage. Grows to 120 cm (4 ft) and likes full sun. Sow in April or May, 6 mm (1/4 in) deep, in rows 45 cm (18 in) apart. Thin to a few plants per 30 cm (1 ft) of row. Will self seed. Enjoy the leaves in tzatziki and frittatas, or use the seedy umbels to put the dill in pickles.